Sweat trickles down your neck. You’re patrolling the ruins of a house among the decimated landscape of the latest MMO that you feverishly play. You swerve a corner – all clear. Another turn and you’re bounding out of the building to freedom. Suddenly an enemy gamer darts in your peripheral. With a flick of the mouse, you attempt to toggle your character to aim your weapon at them… too late. Your reaction times lag and within seconds your character is a motionless mass of pixels lying dead and being raided for loot. It can be very frustrating, losing a game because your mouse or keyboard cannot compute your commands at a swifter rate. 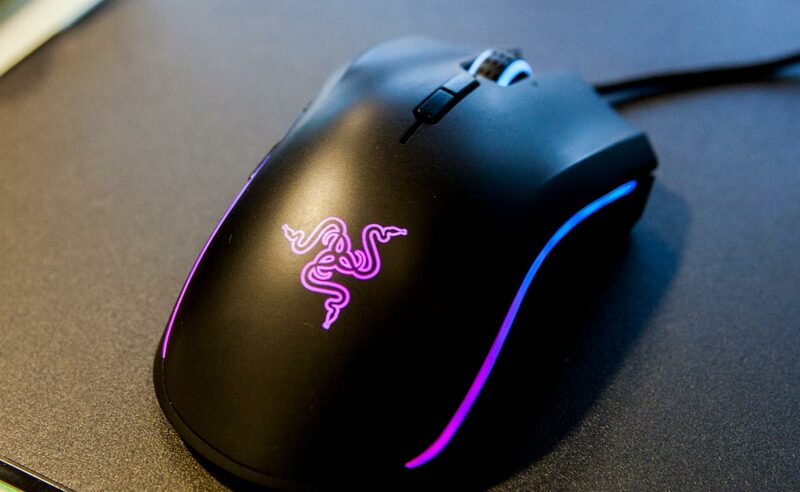 A gaming mouse that matches your preferences is essential. When selecting a mouse, take into account a selection of choices that can define the thin line between winning and losing. Don’t lose because of your hardware. If you are looking in the market for a shiny new mouse, it may seem simple; a cheap buy. Sometimes, an unexpected buy can change how you game completely. All it takes is a little research. So, without further lag, let’s go over what to look for in a winning gaming mouse! WHAT IS A "GAMING" MOUSE? That dented, decade-old mouse that you’ve been using to scroll through Yahoo Answers just isn’t going to hack it if you are going up against the big boys in competitive gaming. In a gaming mouse, every regular feature is completely upgraded. With more response and highly accurate sensors, gaming mice are manufactured with a greater respect for quality and a higher standard of use. They are designed with more user customisation in mind; delay and input lag are decimated, an investment that can be a decision of virtual life or death. Forget about throwing it in the bin after a few months, too. Even if you’re not a gamer, a gaming mouse can be a solid investment for a reliable piece of hardware that is comfortable to use. Gaming mice are often wireless and this leads to a sleek rate of response with minimal noticeable lag. When buying a gaming mouse, think about the key feature: you. What are you using it for? What do you want your trusty mouse to be wielded as attack or defence? Do you want one for niche games, or for an all-purpose bout? Look into more specialised gaming mice (see below) to ponder whether your decision will be limited by your genre. At the end of the day, a gaming mouse may appear to have as many differences to its office counterpart as an actual wild mouse and rat. Although they may seem the same, take heed that there’s a ton of biological differences under the skin. The most common type of gaming mouse that you will find on the market is a nifty all-purpose mouse. Now, technically any mouse can be adapted for certain gaming – an RPG mouse might fit your style of FPS just fine, and vice-versa. All-purpose mice come in all forms, they just have to be equally good at gaming with everything. These are best if you have no certain gaming preference and instead like to hop between genres and styles. Whether its Resident Evil or Call of Duty, any intensive shooter demands an equipped piece of hardware for tackling those waves of enemies. These mice will come optimised with a nifty sniper button beneath the thumb that is a godsend for lining up difficult shots. These games take up A LOT of time, so best have a mouse that you can get comfortable with, for those long treks across fantasy plains and the expanse of massive multiplayer games. While they may appear intimidating, beefed up versions of their fellow counterparts, MMO mice are lined with an assortment of helpful buttons that can assist with precision and skill. These are the equivalent of turning up to a street drift race with a modified Mustang; pricey, conspicuous, and damn satisfying to see in action. If you want to deck out your gaming station, a customisable mouse is a jewel in the crown. Although relatively more expensive than all-purpose mice, these are finely tuned devices that will allow for more customisation and altercations than a Lego set. Want to rearrange the angle? Do it. Are the button placements feeling off? Shake it up a bit! Your preference, your mouse. As I stressed in my previous article on gaming keyboards, polling rates are the unmissed feature on every gamers check-list. Make sure you do your research, folks! Polling rates are the connection that measures the rate at which the rest of the computer registers the commands of the mouse in Hz. If you have a low polling rate, you can be guaranteed that your game will lag and sometimes just flat out seem unresponsive to basic commands. If you are looking for a good polling rate, aim for around 500Hz to 1000Hz. Anything lower and the only thing you’re saving on wins. Okay, so this is definitely an egocentric feature; unless you’re gaming in a dark cave in the mountains and this is your only source of light for your keyboard. Nevertheless, look at those pretty lights! As is the case with light-up gaming keyboards, a mouse with a rainbow of colours transports your gaming set-up from a simple cubicle to a neo-rave in the heart of Ibiza. Whether its full RGB lighting or a standard red glow, consider these beautiful bad-boys before settling for their modest cousin. You’ll never be able to look at mice again without feeling slightly incomplete. Some mice are too light, some are too heavy. The weight of your mouse is very important depending on how you want your movement and reaction times to play. It’s all about practice and adjustment. There are gaming mice on the market that include adjustable weight canisters, meaning you can fine-tune the weight of your hardware just as one may the dumbbells of their set at the gym. Just make sure it’s not too little or too much! Put away your pitchforks, I’m not turning this into the witch-hunt of whether laser or optical are a superior sensor for gaming mice. The preferences all vary on you as a gamer, most of the time many don’t even know the difference. A bonus to look out for is surface tuning, meaning that you can calibrate the mouse to work smoothly on whatever surface you provide. DPI (dots per inch) is a feature to keep an eye on. If you are looking for options, any DPI between 200 and 2,600 will be more than enough for the average gamer. As with any product, there are different tiers of quality when it comes to buying gaming mice. Low-quality mice are often below £30 and, while they will do the job, they should not be considered a long-term investment. If you want a premium gaming mouse, be prepared to fork out just under £100. However, these will often be customisable and feature most of the benefits mentioned in this article. They will last longer, be constructed from a material that will prevent wear, and generally just look far cooler. Do your research on which brand you think suits you, you will be able to find a gaming mouse model that fits both your style and wallets’ limits. While I may not go into specifics on brands and models that are superior to others, remember that I mentioned that buying the perfect match to you is a process of matching to your specifications, if you have any. There is no definitive “best brand” mouse, more perfect matches for YOU. Consider your genre of gaming, price-range, desired features, and you will easily be able to narrow down through the hundreds of possibilities. At the end of the day, it’s what is comfortable for you. Find your weapon, wield it, and win.